Chandigarh’s beauty and its heritage are at risk of getting lost amidst the financial gains that its “protectors” are now looking at. With 129 politicians — MLAs and MPs (both serving and former representatives) — from Punjab having joined hands with a leading real estate development company to come up with the tallest housing project in the state at Kansal village, right in the backyard of Chandigarh, the city's skyline will be marred, its view of the Shivaliks blocked and its green cover endangered. 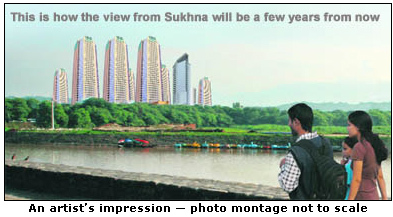 The sordid tale of the plans to build a 19 tower housing project of the Tatas, which would irreparably damage Chandigarh’s pristine skyline as it soars above Sukhna Lake (reported in our columns yesterday), owes its origin to a deal between the Punjab MLAs Housing Society and Defence Services Society with the Tata Housing Development Company. Having all top politicians in the state on board for the Camelot project of the Tata Housing Development Company (THDC) has apparently been a wonderful business proposition for the real estate developer. With 129 peoples’s representatives (both serving as well as former MLAs and MPs) as beneficiaries of the project, the company has ensured that its USP of being in the backyard of the lake with the Shivaliks forming its backdrop, yields a great response from investors. The biggest money spinner in the region is the shrinking land in and around City Beautiful. Little wonder then that all big names in the real estate sector in the country want to get into this lucrative realty market, which in turn provides a perfect opportunity to local real estate agents, land aggregators and consolidators to make their millions by selling off land to the big daddies of the realty world. 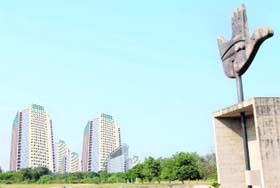 Under the controversial Tata housing project, 102 Punjab politicians will get Rs 82.5 lakh plus a four-bedroom flat overlooking the Sukhna Lake from 19 towers that will mar Chandigarh’s skyline. This is what the people’s representatives have to say. Chandigarh has not seen anything quite like the multi-tower Tata housing project coming up in the vicinity of its famed Capitol Complex. And hopefully never will. 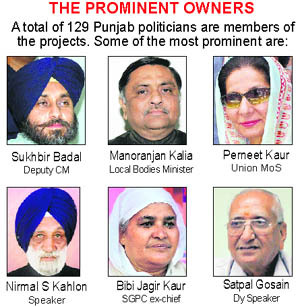 On Saturday, The Tribune had spoken to as many as 42 of the 102 Punjab politicians, who were beneficiaries of the project and all, but a few of them, vociferously defended their investments in it. Senior politicians of the SAD, BJP and the Congress, who are also members of The Punjabi Cooperative House Building Society, today convened a press conference to defend their role in the controversial Tata housing project that would result in skyscrapers being erected at Kansal village in Mohali in the vicinity of Sukhna Lake and the Secretariat.